Rent a HEPA air scrubber in the DFW ( Dallas / Fort Worth) Metroplex to remove the mold or mildew spores, eliminate odors, or to filter out the sawdust in the air during construction. 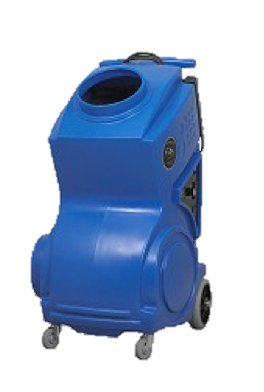 Air scrubbers are used in medical research centers, Atomic research centers, Nuclear power plants, hospitals, pharmaceutical manufacturing, and by HAZMAT service contractors (lead paint, asbestos, Anthrax, mold clean up). When you are trying to clean air during renovation projects, disaster restoration, or mold abatement, negative air pressure is critical. 1st Cooling has the rental equipment you need for the job. Negative pressure helps to contain the mold, odors, dust, and particles with the specific area. Typically you want to use a plastic barrier from ceiling to floor to contain the work area. These are known as a ‘Containment Barriers”. In a nutshell, air always flows from a HIGH pressure area to a LOW pressure area. When you rent a negative air machine inside the space, negative air pressure creates an inward airflow from the outside through any leaks, cracks, or openings in the area (containment barrier). Airborne contaminants are not allowed to escape the area and prevented from contaminating other areas of the building. The air goes inside the air scrubber and is filtered using three to four stages of filtering, the last being a HEPA filter. The air can then be ducted outside of the space through flexible tubing. Since the air is filtered using HEPA technology, the ductwork does not have to exhaust outdoors. FACTOID: A HEPA filter traps and blocks extremely small particles from getting back into the air. A certified HEPA filter is required and tested to trap particles as small as .3 microns with 99.97 % efficiency. One micron is 1/1,000,000 of a meter. A 0.3-micron particle is 300 times smaller than a human hair and 30 to 50 times smaller than the human eye can see. * HEPA 99.97% for 0.3 micron particles. Rent a Power Breezer for your outdoor event. Power Breezers are the perfect solution when it is hot outside and you don’t have air conditioning and a permanent water source. 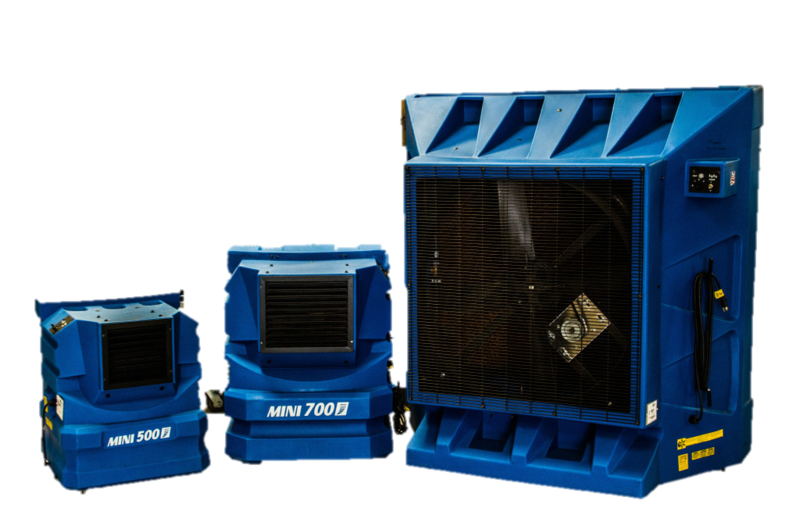 1st Cooling rents Power Breezers for your restaurant patio to football, baseball, or soccer games. Power Breezers can hold up to 100 gallons of water in the reservoir and can run for 40 hours without a refill. And if the water does run out, the motor will not burn up like a portacool. 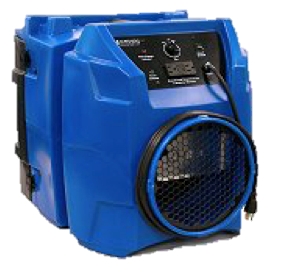 Power Breezers are great portable rental coolers since you can adjust the mist-miser from a few feet to up to 10 feet with airflow up to 80 feet! The mist is created using atomizer technology. The mist won’t get users or equipment wet. Using jet engine technology this mobile unit cools 3,000 sq. ft. up to 27°F. Fan speeds are adjustable up to 14,000 cfm. Rent a military-tested Power Breezer from 1st Cooling today. Call 972-447-0555. Rent a portacool evaporative cooler for your outdoor event. Portable coolers are great when it is hot outside and you don’t have air conditioning. 1st Cooling rents portable coolers for your back patio to football or soccer fields. If you want to try a newer technology, rent a Power Breezer! They hold 100 gallons of water and can run for 40 hours without a refill. And if the water does run out, the motor will not burn up like a portacool. An evaporative cooler can run from 3-6 hours between water fillups. Plus if you don’t have a permanent water source, the internal pumps can burn up which can be costly. We have pump protection float devices that work fairly well but cannot guarantee the motor will not burn up.